Clearwater and Clearwater Beach in Pinellas County, Florida offer some of the best roads in America for motorcyclists. Incredible views, year-round sunshine, warm weather, palm trees and thousands of places to stop for a break or a meal. Keep driving west and you'll be greeted with panoramic views of the Gulf of Mexico. Enjoy a cruise up the beach roads. 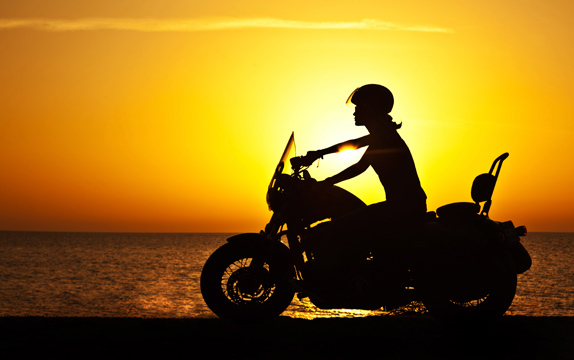 Experience Clearwater from a motorcycle to fully appreciate all that this area has to offer. But... trouble lurks. With all of the sights, there are many distracted drivers. Hundreds of thousands of tourist flock to the area each year, many of whom don't know the roads, and who don't follow local traffic regulations. With all of the beach bars, impaired drivers may take to the roads. The result - motorcycle accidents can occur. Brad Souders has been a lifelong biker, he grew up in Clearwater, was a Clearwater Beach lifeguard; attended high school and college in Clearwater; and, since becoming an attorney more than 25 years ago, his law practice represents fellow bikers. Don’t pay attorney’s fees of 1/3 or 40%, the maximum attorney’s fees allowed by law, as charged by other attorneys. With Brad, you have an award winning trial attorney and a lifelong biker – A Biker Representing Bikers – representing bikers at reduced “Biker Rates.” Call Brad today to obtain the personal attention, compensation and the justice you truly deserve! Who will be responsible for your past and future medical bills? Can you recover past and future lost wages? What about property damage compensation? How much will motorcycle repairs cost, and who is responsible? Who pays the cost of a rental car? Have you, or will you experience pain, suffering, or mental anguish? You need an experienced Clearwater Motorcycle Accident Lawyer. Call Brad Souders any time, day or night, at 1-866-464-5291 for a FREE, immediate consultation. An attorney helping bikers! Attorney Brad Souders has a main office in Tampa, representing injured bikers and their families throughout the state of Florida. Can’t come to us? Brad can come to you. He offers FREE INITIAL CONSULTATIONS, also offering HOME, HOSPITAL & EVENING or WEEKEND appointments by request. After hours, simply call Brad’s cell at (813) 220-7767. The information on this site is not, nor is it intended to be legal advice. Bradley D. Souders, P.A. prepared this information for general information purposes only. If you were involved in an accident, you should consult with an attorney for individual advice regarding your own situation. The hiring of a lawyer is an important decision and should not be based solely upon advertisements alone. Before you decide, ask the lawyer to send you free written information about their qualifications and experience.